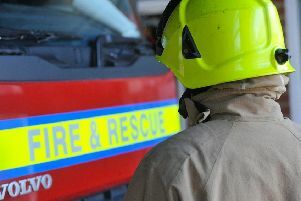 Three fire crews and fifteen firefighters from Wragby, Bardney and Lincoln North scrambled to the scene of a crash involving four vehicles on the A158 yesterday (Sunday). The collision occurred in Langton by Wragby at 4.10pm on May 28. According to a tweet from Lincolnshire Fire and Rescue, firefighters made vehicles safe and helped to take care of the casualties involved in the incident. It is not yet known how many people were injured. Motorists were also stuck in traffic on the A158 yesterday due to a fault with the level crossing barriers at Langworth, which caused massive delays on the main route to Lincoln and Skegness. Queues of traffic started developing just after noon but the problem was resolved later that day.